Rising levels of atmospheric nitrogen pollution threaten plant diversity at nearly one-quarter of sites across a widespread portion of the U.S., according a new study led by University of Colorado Boulder researchers. The findings, which were published today in the journal Proceedings of the National Academy of Sciences, are the first to examine ecosystem-specific vulnerabilities to atmospheric nitrogen pollution on a continental scale. Nitrogen plays an important role in biological processes and makes up a key element of fertilizer, but previous research has shown that it is possible for plants to get too much of a good thing. Global emissions of nitrogen to the atmosphere have tripled in the last century due to agriculture and industry, and elevated levels of nitrogen have been shown to cause environmental damage, including decreased plant species richness in experimental plots. The study examined more than 15,000 forest, woodland, shrubland and grassland sites across the country, measuring the threshold at which nitrogen inputs become harmful to plants while also taking other environmental factors such as climate and soil conditions into account. In all, 24 percent of the sites surveyed were at or above levels that result in plant species losses, with grassland regions (especially those with acidic soil) being most vulnerable. Groundcover plant species in forested regions with neutral pH soil were found to be the least vulnerable. The findings may have wide-ranging implications for future air quality standards and biodiversity conservation efforts. 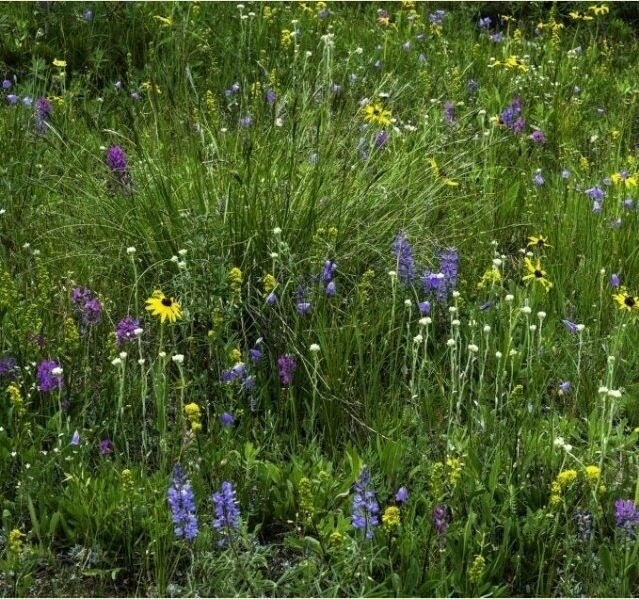 Air pollution, along with habitat loss, is a major factor implicated in the loss of plant diversity across the U.S. The study was co-authored by Edith Allen of the University of California Riverside; Christopher Clark of the U.S. Environmental Protection Agency; Jayne Belnap, Matthew Brooks and Brian Cade of the of the U.S. Geological Survey; Scott Collins of the University of New Mexico, Linda Geiser, Sarah Jovan, Linda Pardo and Bethany Schulz of the U.S. Forest Service; Frank Gilliam of Marshall University; Carly Stevens of Lancaster University; Katharine Suding of the University of Colorado Boulder; Heather Throop of Arizona State University; and Donald Waller of the University of Wisconsin, Madison. The research is a product of the U.S. Geological Survey John Wesley Powell Center for Analysis and Synthesis. The U.S. Environmental Protection Agency, the Cooperative Ecosystem Studies Units Network and the U.S. Geological Survey provided funding for the research. Additional support was provided by the U.S. Forest Service; the ESA Vegbank; the Minnesota DNR Biological Survey Program; the New York, Virginia and West Virginia Natural Heritage Programs; the Carolina Vegetation Survey; the National Park Service; and the University of Wisconsin Plant Ecology Lab.